What went well? What went wrong? What can we do better next time? Very few law firms ask themselves these questions at the conclusion of their legal matters. Yet, these questions are extremely important in every legal practice. Harnessing knowledge, sharing experiences within the legal team, and developing methodologies promote consistency and efficiency leading to increased process improvement. Post-project review facilitates refinement of best practices and contributes to increasing the quality delivery of legal services. It’s important to take the time to catalog what lessons you’ve learned with each case and share the information that is worth knowing. Much has been written about project management since the 1950s, but until the advent of legal project management approximately 10 years ago, there was no standard way to manage legal cases. However, today LPM helps attorneys control important factors of their legal matters such as time (how long it takes to get something done), cost (the firm’s investment necessary to perform the work as well as the client’s budget), and scope (what you’ve been – and not been – retained to do) as seen in the illustration of the iron triangle below. The quality of work is always constrained by the project’s deadlines, budget, and scope. Failing to control these constraints generally results in an increase in risk (things that go wrong) while implementing controls that measure and monitor progress have the opposite effect and results in higher quality legal services. Even if you have never heard of legal project management until today, there are some best practices that you can take from it and begin implementing to improve the value of your firm’s legal services delivery model. The final phase of legal project management, post-project review, is relatively painless to implement and you can begin to see the benefits of it almost immediately. You want to begin a post-project review with face-to-face brainstorming with the legal team involved in that particular matter. This is the best way to encourage frank discussion and elaboration on key issues. It doesn’t have to be a long time-consuming meeting. To save time participants should have plenty of notice prior to the meetings and be prepared with notes for the discussion. This more informal and less intimidating approach allows your staff to express their points of view in their own way while also letting them prioritize their commentary. When handled in this way, major concerns usually come forward first and are then followed by topics that are lower in importance but still ripe for discussion. Is the statement clear to all involved? Do we agree with it? Is this an ongoing issue? What was or is the consequence of this? Should we prioritize a solution to this? What is the best way to address this concern? What could we have done differently to prevent this? What can we do to keep it from happening again? Is this an issue of substance or process improvement? As a legal project manager, I encourage the use of a template to document the questions and answers that are addressed during the meeting. The template may vary depending upon whether it is directed at a group that is practice specific, client specific, or matter specific. But, one thing you want to make sure everyone understands is that this meeting is not a place to play the “blame game” or make passive-aggressive (or just plain aggressive) comments. If a major concern has taken place that is the result of a specific team member’s performance, those concerns are best addressed individually with that one person before this meeting. Lessons-learned meetings are not a football pile-on. If you want this to be successful, the project leader must be prepared to shut down character assassinations or bickering. Because the heart of legal project management is about consistently providing client satisfaction, it’s not sufficient to just query your legal team. For process improvement purposes and to nurture the client relationship (and aid in client retention), it is just as important to acquire feedback from your clients. You can accomplish this by sending out a survey (preferably in the fashion of a likert scale) to capture client feedback. Lawyer’s Mutual has a list of questions that could be presented in the form of a likert scale or other types of rating scales, but you can also brainstorm your own. Rating scales allow us to measure the opinions of clients in a quantitative manner. Without proper scaling, collected information runs the risk of containing bias and negatively impacting the survey results. Although some larger firms have a general client survey, which they use as a litmus test for client satisfaction, drilling down to develop a more customized template for particular case types will hone the performance of specific legal tasks. That’s the real purpose of post-project review. Client feedback is important because clients can help the team identify issues that the team may not have noted. Further, when clients feel heard, there is a less likely chance that they will contest legal fees or file a bar complaint. This is especially a great way to draw out passive clients who may never work up the nerve to say anything to you about a grievance, but after stewing over it for a while, may file a complaint or fee dispute with the Bar. Because so few lawyers actually conduct post-project reviews, your seasoned clients may be surprised at first. Most are accustomed to just getting a final bill and perhaps a close-out letter or memo. But, it’s important to make sure that your client understands your genuine desire for their feedback. If they understand this isn’t just a marketing ploy, they will be more likely to provide meaningful responses. In fact, it’s even better if you can schedule a telephone call or one-on-one meeting to obtain this feedback. Even if your client says they don’t have the time, it can go a long way towards showing them that you value their business. Collecting feedback from your legal team and clients is essentially useless unless the firm commits to a way of storing and sharing the information in a way that is easily accessible. Regardless of the size of the firm, attorneys and staff are generally in a position where we are performing similar or interdependent work day after day. Storing this information in a shareable database (or even as a template or handwritten memo) to be accessed when working on similar cases can be very helpful in preventing repeated mistakes. Sharing information with the entire team will help the team continuously improve. Although this may seem like a time-consuming endeavor initially, delegating someone at your firm to facilitate this process will result in the practice becoming more efficient over time as the firm teases out its knowledge management practices and creates a library of searchable content using keywords and phrases. If you try it, I think you will be pleasantly surprised at the difference it makes and your clients will appreciate you as well. Alicia Mitchell-Mercer, ACP, RP, NCCP, SCCP is a senior litigation paralegal and legal project manager at Brown & Associates, PLLC in Charlotte, NC. 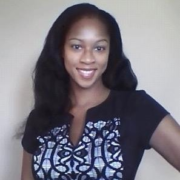 Ms. Mitchell-Mercer has a BS in Paralegal Studies and a MS in Project Management with an emphasis on legal project management and engineering economic analysis. She has spoken at paralegal conferences around the country on the topic of legal project management and ways legal practitioners can reduce inefficiencies and maximize profit while providing a better experience to clients. Ms. Mitchell-Mercer is certified by the North Carolina State Bar, the South Carolina Bar, the National Association of Legal Assistants and the National Federation of Paralegal Associations. Ms. Mitchell-Mercer holds specialty certifications in Contracts Administration, Trial Practice, Business Organizations: Incorporated Entities, and E-Discovery from the National Association of Legal Assistants.